Its raining almost all day in New England and I feel so lazy even to get up early in the morning. I mostly spend my time on bed, being cozy and warm under my blanket and I am waiting for a sunny day to come so that I can go outside and enjoy those beautiful fall colors with my hubby..Now a days I was trying to keep myself away from all those high calorie foods but what to do, as usual I had a sudden craving for biriyani...Even though my brain was telling me to cook some light meal, but my stupid heart will never listen to that....So that's why, here I am sharing the recipe of egg biriyani / kerala egg biryani / mutta biryani. Please don't hesitate to, try making it just by seeing these long procedures. Believe me, its very easy to prepare when compared to other non-veg biriyanis, otherwise I would have never tried it especially in such a weather. First wash the rice and allow it to drain. Then take one handful of coriander leaves and mint leaves and grind it to a fine paste. Next heat 2-3 tbsps of ghee in a big vessel and fry cashew nuts and raisins till they become light brown in color and then transfer it to a paper towel. Then in the remaining ghee add, whole garam masala and fry it for about a minute and then add coriander-mint paste along with 1/4 tsp turmeric powder, 3/4 tsp red chilli powder and 1 1/2 tsp coriander powder and fry for another 1 minute. Next add drained rice and mix it slowly and add 4 1/2 cups of water along with enough salt and cook covered in a medium-low flame for about 10 minutes. And then switch off the flame and keep it covered in the stove itself for about 10-15 minutes or till the water is fully absorbed by the rice. Then heat oil/ghee in a pan and add crushed ginger and garlic followed by thinly sliced onions and saute till onions become transparent. Then add coriander-mint-green chilly paste along with 2 1/2 tsp coriander powder, 1 1/2 tsp red chilly powder, 1/4 tsp fennel powder, 1/4 tsp turmeric powder and 1/2 tsp black pepper powder and fry for about 1 minute. Next add finely chopped tomatoes along with enough salt and cook in a low flame till the tomatoes are nicely mashed and cooked. Finally add 1/3 cup of thick curd and 1 tbsp of lemon juice and mix it nicely and then remove from the flame after 3-4 minutes. Then slice the hard boiled eggs vertically and slowly add that to the gravy with the yolk side facing up. First preheat the oven at 225 F and then grease a big oven safe vessel and then transfer half of the rice to the vessel and then sprinkle fried onions, fried cashewnuts, fried raisins, garam masala and chopped coriander & mint leaves on the top of the rice. Next slowly spread the masala evenly over the rice along with the eggs. Then again layer the rest of the rice over the egg masala and finally garnish with fried onions, cashew nuts, raisins , coriander leaves etc etc..
Then keep it in oven for about 25 minutes, but do cover the vessel tightly before keeping in the oven. Notes : If you don't have oven then you do the layering process in a big aluminium vessel and then keep it covered on a stove top in a very low flame for about 15 minutes. Enjoy with pappad, pickle or raita. Adipoli biriyani ..Ente vaayil kappal odikkaam...Great job!! wow...perfect biriyani...who would say no to that...lovely.. Egg biryani looks yummy !! awesome clicks !! looks super delicious, awesome clicks! Thanks Jisha for stopping by. Your egg biryani method is awesome and also looks scrumptious. 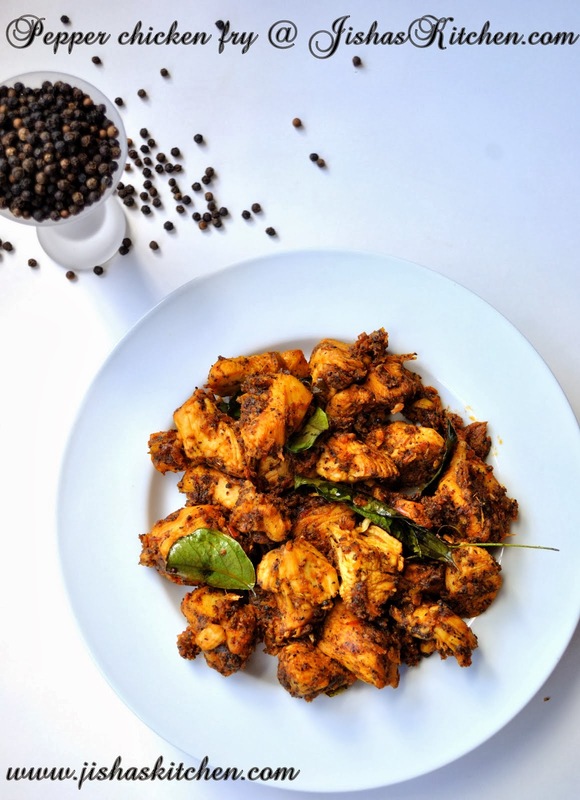 Beautiful clicks jishaaa..Biriyani pinne parayandallloooooo super...Light box undo? Looks amazing and perfectly presented, surely makes me crave for it. Wow..Jisha...This looks super yummy & tempting!! This looks delicious..Should try it some day...Thanks for the recipe dear. Check out my Giveaway and join in that..
Biriyani kandittu kothi sahikunnilla. Enniku eppol kittiyal kollamayriunu. 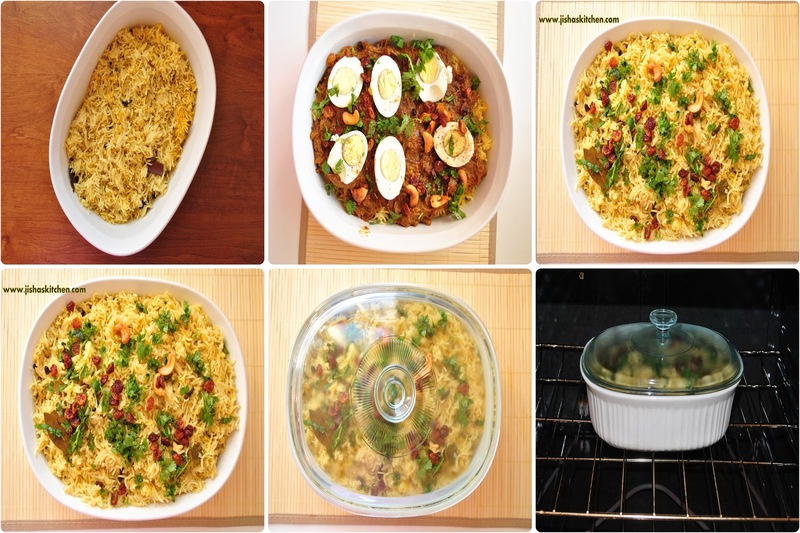 egg biryani looks delicious... glad to follow you.. do visit my blog sometime.. Wow...I can see the perfection. Btw My First Giveaway at my blog. Hope you would like to eneter. I love biriyani, and this one looks especially good. first time here, liked your blog, following you now, check out my blog when have free time. This looks sooo amazing Jisha.. love the colour..
Jisha. this one turned extremely delicious...oh god i can't tell you how i forgot to respond here. I did skip a few of them but now i'm gonna try your coconut ground masala for my new recipe. Fingers crossed. I know it will come out yummy. 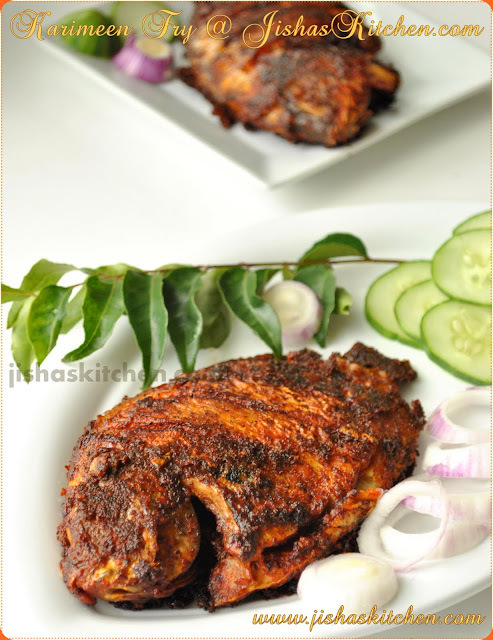 Copyright 2009-2014 by JishasKitchen.Net. All rights reserved.. Powered by Blogger.